Just some fun we had recently at our local mountain. What can we say but “Cypress Provides”. 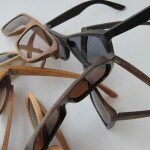 First Eyewear Prototypes Have Arrived!!! It’s always awesome when things you had only drawn up in two dimensions arrive as a physical product. We’ve got this out to our ‘team’ (aka friends) for rigorous testing (aka wearing them even when it’s not sunny!) and we’ve shown them to a couple of retailers. All is looking great! They are way better than we had expected for a first round. A couple of tweaks and we’ll have an actual product line (yeah!). Corvus Fittings is a dream realized. 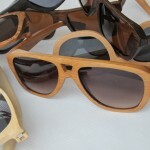 Hand crafted wooden eyewear and timepieces are just the beginning our dream of bringing stylish quality accessories to you. We’re just getting started here but wanted to invite you to keep up with all the goings on. Please have a look around, comment, post, tell us what is one your mind.